We are proud to announce that we have been awarded the title of the Employer of the Year in West Pomerania 2018 in the category of companies with the staff up to 50 employees. 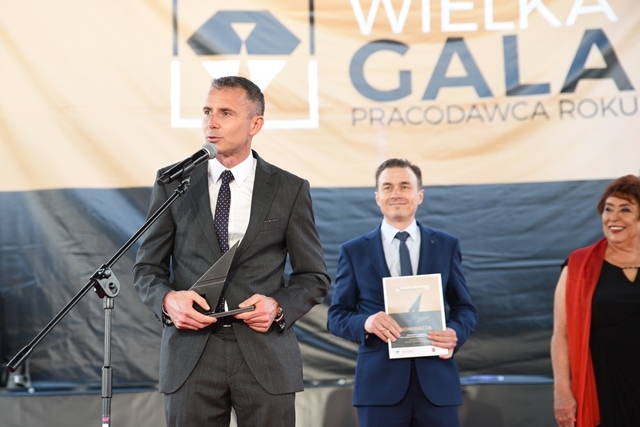 The ceremonial gala on which the nominatees and latter the winners of the prize have been announced took place on the 25th of May 2018 in the most elegant outdoor space of the capitol of West Pomerania – Wały Chrobrego in Szczecin. This award is appreciated by us especially that more than 600 enterprises from our region took part in the competition. We kindly invite you to see the movie relation as well as photo relation from the ceremony. We also recommend to familiarize with the press releases to which the links are below.